5.0 out of 5 starsSimply Excellent. If you want a more thorough and granular understanding of the blockchain, this should be one of the top three books you read. Exactly what the title states, it delivers and in a quite detailed fashion. In terms of depth of information and complexity of concepts, it falls in the middle of a book like “The Internet of Money” (which, although a reasonably quality read is mainly a primer for overall concepts and relating the paradigm shift that cryptocurrency and the blockchain represent) and “Mastering Bitcoin” (a rather technical breakdown of how the blockchain works from a mathmatical and computer science basis). For the unindoctrinated, this book might have too much information and go into too much detail on how financial transactions work and why the blockchain is truly revolutionary. 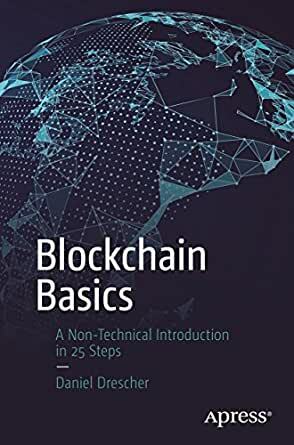 For the generally knowledgable investor, developer or interested outsider, this book goes into great detail on the major constructs and functionality of the blockchain. It does not possess the hype or opinion that so often permeates this topic but instead offers clear and concise chapters discussing main points quite thoroughly. Again, this is non-technical in the sense that it does not go into topics such as discussing the bitcoin API or go into mathmatecal detail on how a public key is calculated using elliptic curve multiplication, but technical to a point where it gives you a proper education on blockchain functionality and how it relates and what the parallels are to the current financial systems in place. Excellent primer. Its step-by-step approach might test some readers' patience, but I found it very helpful in cementing my understanding. I also like that it's fairly hype-free; it's very honest about blockchain's challenges. What struck me is that, given the amount of effort the blockchain goes through to achieve its objectives, you really need to have an appropriate use case that *requires* a distributed, peer-to-peer architecture andnon-trusted nodes, plus can tolerate "eventual consistency." If you are serious about understanding blockchain and need assistance conceptualizing the basics, look no further. 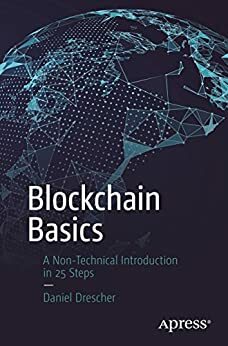 I have researched numerous books, articles, papers and other materials trying to improve my knowledge of blockchain, but this is one of the best! 5.0 out of 5 starsFinally, I get it! After way too much time spent trying to get to the bottom of this subject using YouTube Videos and web articles I finally decided to learn it the old fashioned way- with a well written, carefully targeted book by solid and knowledgeable author. And that's all it took. This is book is presented a in a series of 25 short chapters- each one a tight, but highly informative addition to the previous chapter. By Chapter 8, I finally saw where all this was going but still had some questions. By Chapter 15, these questions were answered and I was developing new questions. Most of these were answered in the final chapters. Very well written and organized. It turns out that thanks to Mr Drescher, blockchain is not at all as scary/difficult as I had assumed. Highly recommended. 3.0 out of 5 starsIf it could be revised and edited to be more concise then it would improve the quality a great deal. The information is helpful and I learned a lot but the book tends to be very repetitive. If it could be revised and edited to be more concise then it would improve the quality a great deal.